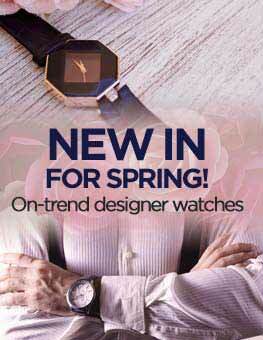 Over the past 134 years, Movado has been a brand in motion - always changing, always innovating, always moving forward. 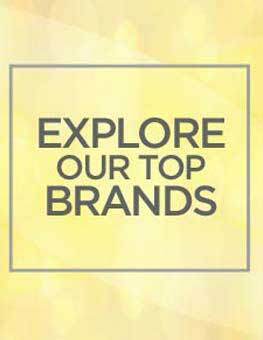 This quest for innovation has made us one of the world's premier watchmakers with more than 100 patents and 200 international awards for watch design and time technology. 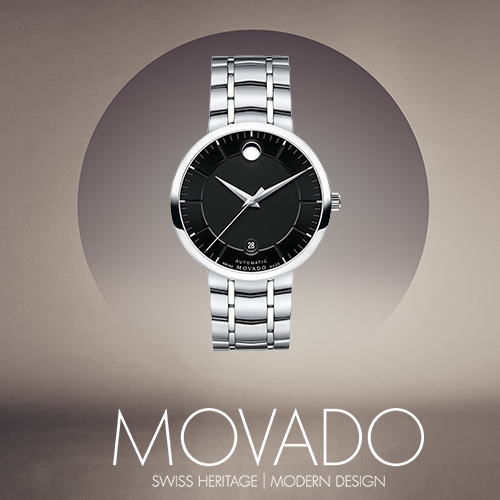 With a proud heritage of Swiss craftsmanship, design excellence, and technological innovation, Movado continues innovating into the future. 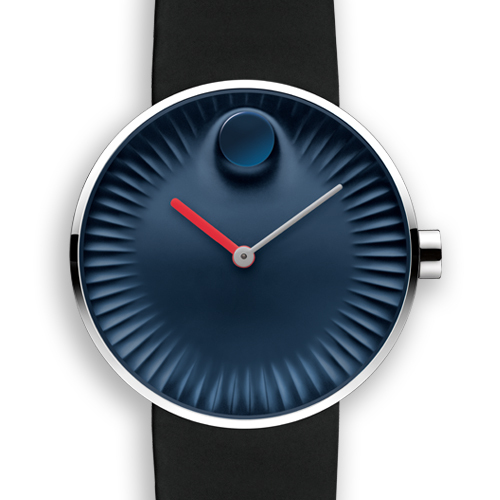 The Movado Museum Watch traces its roots to the beginnings of the modern design movement and the group of international artists who founded the Bauhaus School in 1919. "Simplicity, tastefulness, function" was their dictum. One of its purest expressions was the black watch dial defined by a single gold dot, designed by American artist Nathan George Horwitt in 1947. "We do not know time as a number sequence," Horwitt said, "but by the position of the sun as the earth rotates". Hence a solitary gold dot at 12 o'clock symbolizing the sun at high noon; the moving hands suggesting the movement of the earth. When Horwitt's dial, acclaimed for purity of design unrivalled in the history of time-keeping, was selected for the permanent collection of the Museum of Modern Art, New York, in 1960, it became the first watch dial ever awarded this distinction. 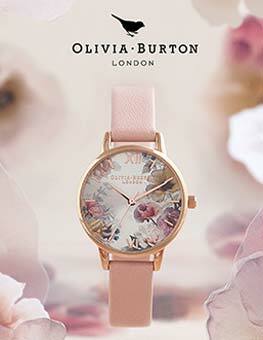 The name "Museum Watch" derives from this recognition. 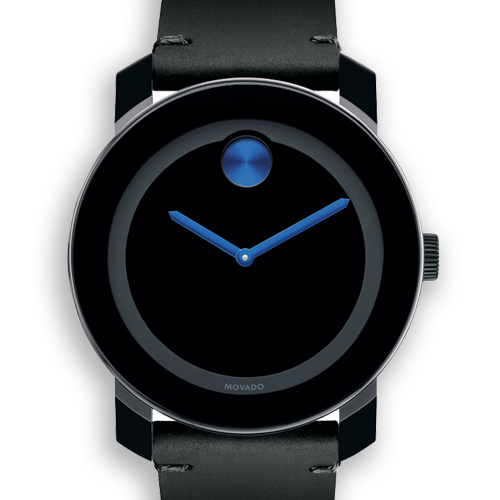 That same year, Movado reached an agreement with Horwitt to manufacture and sell timepieces with his dial, registering the design as a trademark in 1962. 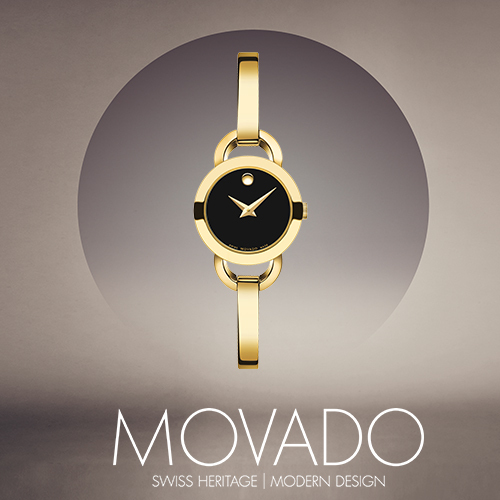 Since then, the legendary single dot dial, and new explorations and evolutions of it, have continued to distinguish a wide array of Movado timepieces. 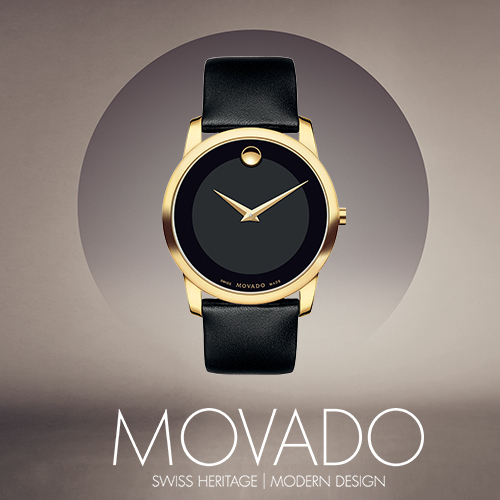 A modern tribute to the year Movado was founded and its rich Swiss heritage. 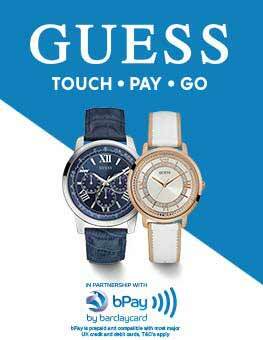 Powered by fine Swiss self-winding movements. 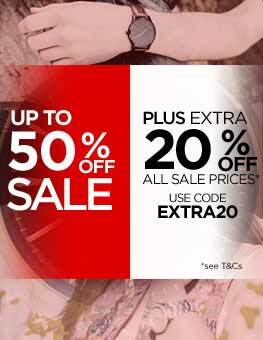 This slender polished bangle watch features graceful lugs in an open, semicircular shape, a signature Movado motif, featuring elegant diamond set models.